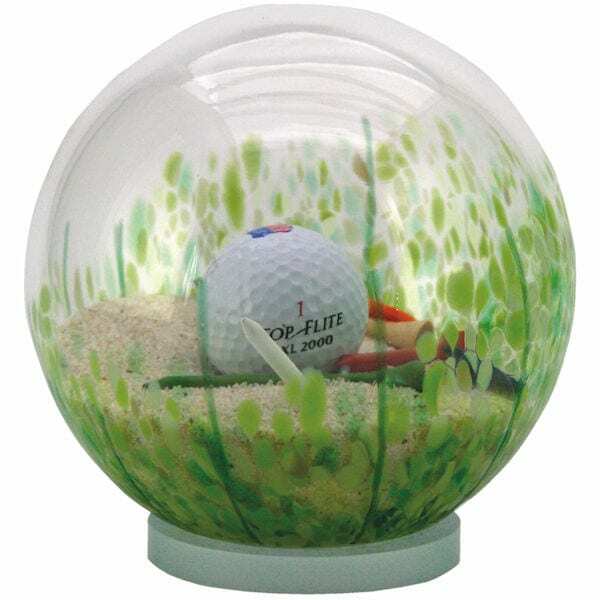 Things you might find in a sand trap—golf tees, a golf ball, golf markers and plenty of sand—are encased in a hand-blown, lightly rippled glass ball swirled and dotted with green. Any golfer will love this. Each is unique. Handmade in Seattle, Washington, 6" diameter.